I read an amazing book recently called The Elite by Kiera Cass. Back in January I reviewed the first novel in this series called the The Selection which I absolutely loved. As soon as I finished The Selection I preordered The Elite and was impatiently patiently waiting for April 23rd. Once that baby loaded onto my kindle it took me less than a day to finish it. Yup. I'm officially nuts. 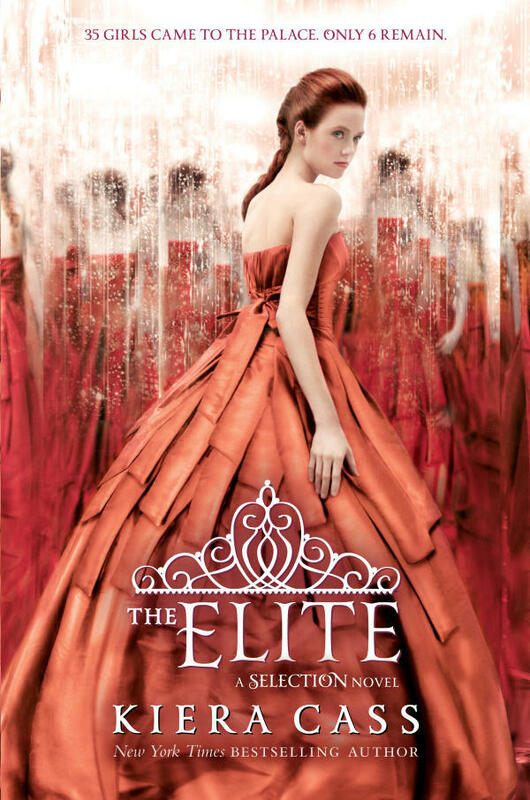 I enjoyed every second of The Elite, the story was absolutely enthralling. I find America to be such a relatable character. Throughout reading the novel I wanted to be friends with her and help her through the decision to marry Prince Maxon. I also found Prince Maxon to be extremely irritating at times, and I almost cried with America at a couple of points in the story because of Maxon's actions. I was so upset by the Marlee storyline. I couldn't believe when they tortured Marlee and the guard because they were having secret relations. I was thrilled when Maxon showed America that Marlee was okay and he had taken care of her in anyway he possibly could. It completely restored my faith in him. I couldn't believe that Marlee had gotten married so quickly and had changed her life so completely for a man. I honestly was all over the place in this book- happy one moment and then completely devastated the next. I was constantly nervous that Maxon was going to catch America and Aspen together and what happened to Marlee would happen to them as well. I am also shocked that Maxon found a "second choice" to America. I truly want America to win the selection and become the next queen. I was hoping that Maxon would have made his choice by now- but unfortunately that was not the case. Have you read The Elite? What did you think about it?